There are so many yoga clothing options that it's mindboggling. 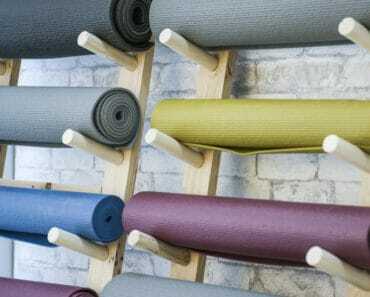 We put together this succinct but detailed guide outlining the key different types of yoga clothing for optimal performance and comfort. Have you ever done yoga in jeans? Likely not, but if you have, it’s not the best apparel to do clothing in. I’ve worked out in jeans because I forgot workout gear and it’s not that great. Regardless of the types of clothing and brands you choose, there are a few things that you should look for when choosing yoga clothes. This will help you separate regular comfy clothing or workout clothing from pieces that are specifically intended for yoga. Breathability: Your clothing should be breathable in order to keep you cool while you workout. You can also look for clothing that has mesh and venting in certain areas, like under the arms and behind the knees. This is especially important if you sweat a lot during yoga. Comfort: The last thing you want to do is workout in uncomfortable clothing. As you try on yoga clothes, pay attention to any tags or seams that may be irritating, areas of the clothing that are either too loose or too snug, and parts of the fabric that will make you itch. Form-Fitting: Your clothing should be form-fitting (though flexible, which we’ll talk about next) so that it doesn’t get in the way as you move into different positions. Your top especially should be form-fitting so that it doesn’t fall over your head or get in your way as you move. Flexibility: Your clothing, especially your shorts or pants, should be flexible to get into the poses you need without any resistance. 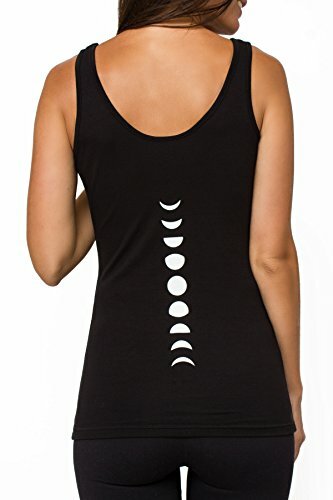 Support: If you need extra support, especially up top, look for clothing that offers the support you need (like in your sports bra, for example) so that you can be comfortable and feel in control as you go through the yoga moves. Warmth: It’s a good idea to bring a warm top layer to wear at the beginning and the end of your yoga session. Often, yoga clothing is made with a blend of polyester, spandex and nylon, and this combo ticks all the boxes: comfort, breathability and flexibility. 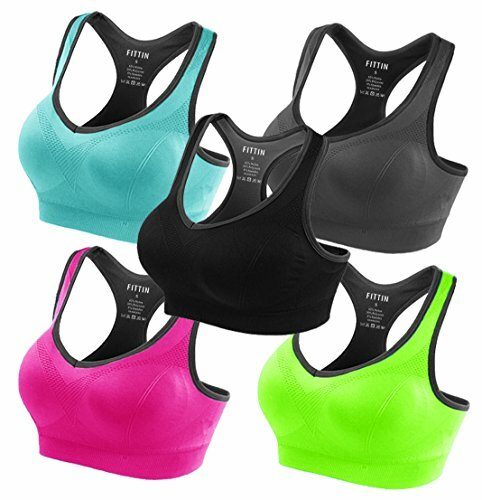 The type of sports bra you choose will be based on your bra size and how much coverage you want. In a high intensity, challenging class like power vinyasa, you may want extra support because you’re going to be twisting a lot and even putting yourself upside down. A low-intensity class, though, like yin yoga or restorative yoga, may be okay with just low support. Sometimes, you may even forgo a top and wear just the sports bra, especially in a hot yoga class. If that’s the case, choose a bra based on what you’d feel comfortable wearing all on its own. No matter what type of sports bra you choose, avoid one that has an underwire. An underwire can start pushing in hard on your skin as you move into deeper poses, which can be painful. Also, look for a pull-on sports bra instead of one that has clasps. Clasps can dig into you and they can also unexpectedly pop open at an inopportune moment. As with all sports, yoga has an element of sweat, which means that you want your base layers to be breathable. When choosing the right underwear to wear during yoga, steer clear of cotton, which won’t be breathable enough. 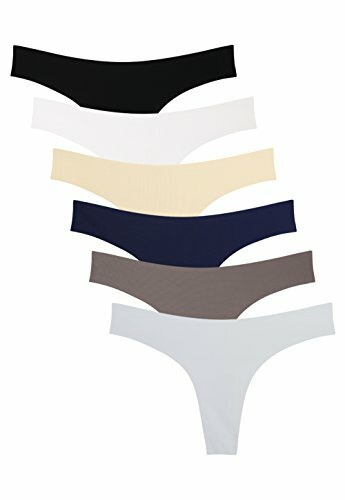 Look for underwear that won’t chafe or move during your yoga poses. There’s underwear that’s specifically made for athletic wear, so that’s a good place to start. Some people forgo their underwear during yoga and instead opt for thicker, form-fitting yoga pants only. Some yoga pants may also have reinforced areas in the underwear area, making it easy to go commando. For the most part, people who do yoga like to wear form-fitting tank tops or t-shirts that have a snug fit on the waist and hips. This kind of narrow fit means the shirt won’t fall over your head as you bend forward. If you tend to chafe under the armpits, opt for a tank instead of a shirt with sleeves. If you don’t need a ton of support, look for a yoga top with a built-in bra. When trying on yoga tops, bend forward and touch your toes. See if you’re comfortable with how the shirt gapes, and if it starts to fall down and flop over your head, you may want a more snug fit. Overall, long sleeve yoga tops aren’t a great idea, but if you feel most comfortable in a long sleeved top, find one that’s form-fitting and with holes for your thumbs so your sleeves can stay snugly pulled down throughout class. If you’re working out in chilly weather or if you’re going to run errands post-class, look for a sweater or jacket designed for yoga. 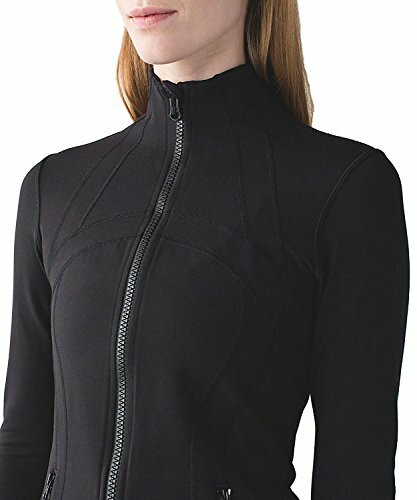 A warm, comfy cover-up can be a jacket or a sweatshirt, one with the same perks as the rest of your yoga clothing (breathability, comfort, etc.). Also, since a lot of yoga rooms are a little warm, having a top to put on at the end of class can keep you warm even if the temperature drops once you leave the studio. There are all sorts of yoga leggings and pants out there in an assortment of colors and designs; lengths; and fits. If you’re worried about having part of your body or skin exposed as you bend and stretch, look for yoga pants with a high waist, which will provide extra coverage. They won’t ride down even as you bend over, which provides extra coverage and also comfort. Yoga leggings are usually either mid-calf or full-length, and they can either have a snug or loose fit. You may prefer loose-fitting yoga pants if you take a slow yoga class, like restorative yoga or yin yoga. 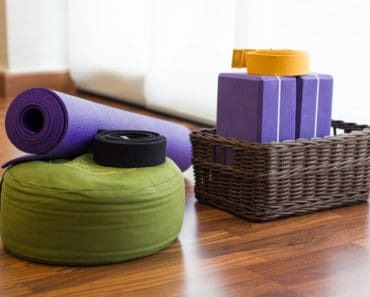 Other types of faster or more intense classes, like vinyasa yoga, are better suited to more snug pants because you don’t want your clothing to impede your movements. If you still want to wear looser pants for a more challenging class, look for pants that cinch around the ankle. Men’s yoga shorts usually have an extra layer inside, a built-in liner that provides comfort and extra coverage during yoga. There are also men’s yoga pants that are as long as the knee, which also help with coverage. For women, yoga shorts are usually made out of spandex. However, these shorts can be uncomfortable and ride up during certain poses, and they don’t offer a lot of coverage for women who that’s important to. In hot yoga classes, though, these shorts may be the most comfortable because the less clothing you have, the cooler you’re able to stay. Overall, you may want to veer away from yoga shorts that are very thin because they can become even more see-through as you move through certain poses. You also want to avoid saggy yoga shorts because they can ride up or bunch up easily during poses. Also, consider shorts with longer leg coverage because they can help you keep balance in poses where you have to brace your arms against your thighs. While you may picture most people doing yoga in just their bare feet, you may actually prefer to practice yoga while wearing socks. Not just any socks will do, though ¬¬– regular socks will have you slipping all over the floor. Yoga socks are specifically made to help you better grip your yoga mat. There are plastic treads on the bottom of the socks to keep you from sliding. 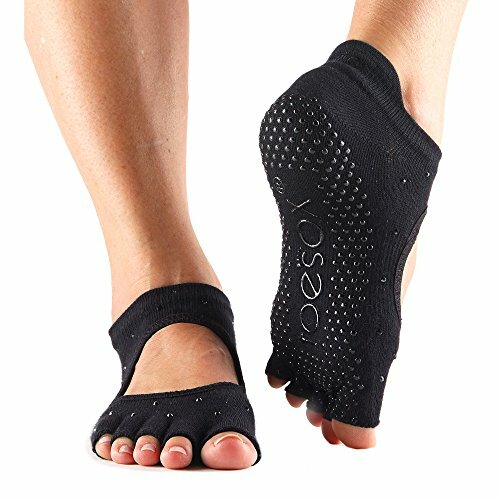 Yoga gloves are very similar to yoga socks. They’re thin gloves that have rubberized dots on them that help with grip. 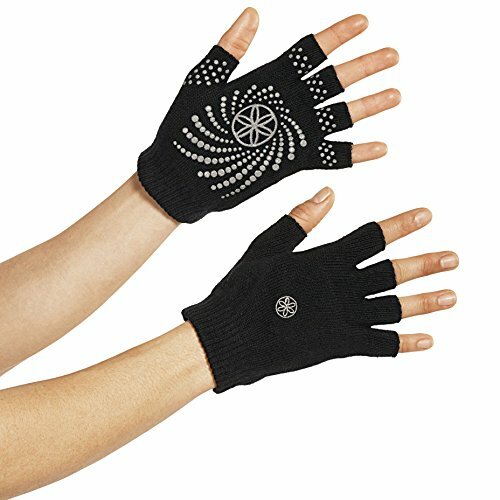 Yoga gloves are also a good idea if you tend to have sweaty palms, which can make gripping extra hard during certain poses. Regarding yoga-specific accessories, we’re not talking about earrings and necklaces (actually, you may want to avoid them, as they could get in the way of your poses or simply be uncomfortable when working out). In this case, accessories mean something like a headband that can wick away sweat and keep your hair out of your face. You may also want to wrap a sweat-wicking band around your wrist so you can easily sop up sweat when you need to. No, you’re not going to wear shoes during your yoga class, but you still have to put some thought into the shoes you will wear to yoga class. First, you’ll probably want to wear some sort of athletic footwear and possibly sneakers that even match your yoga outfit. Second, think about ease – consider how easy it will be to get your shoes off for class and then back on after class. 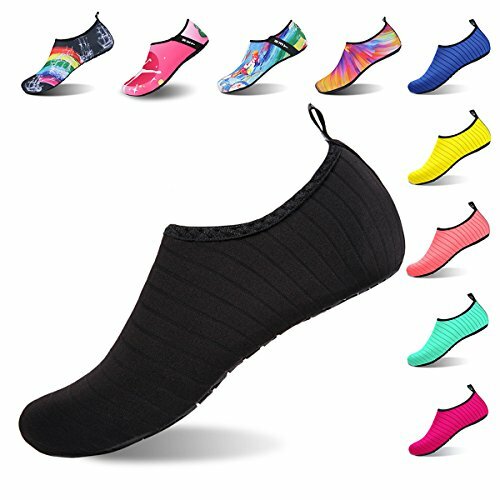 Athletics slides and sandals may be best, since these will be comfy and easy to get on post-class, especially if you don’t want to risk straining your body in any way. We went over the different types of yoga clothing, but now we’re going to tell you what to wear based specifically on the variety of yoga you’re doing. We touched on this a bit in the above sections, but we thought these sections would be helpful if you already know what type of yoga class you’ll be attending. While ashtanga yoga requires a lot of different movements, the sequence of movements is always the same, so once you take one class, you’ll know exactly what to expect. From there, you can further tweak what you wear to best suit these type of yoga classes. Since some moves will require you to place your arms against your legs, avoid wearing shorts. If you get sweaty, the skin exposed will only make it harder to get into the right pose. However, opt for looser pants that you can roll up, since some ashtanga poses require some lubrication in order to easily get into place. Another option is to wear capri pants that expose just part of your leg without exposing too much. These types of yoga are on the less challenging side, which gives you some flexibility when choosing what to wear. Keep in mind that these classes don’t have the same sequence of moves from class to class, so be prepared for anything. Your best bet is to simply choose the clothing you’re most comfortable in and that offers the most flexibility options. Hot yoga is practiced in a heated room. The idea of hot yoga is to make you sweat during the class. In this type of class, don’t wear cotton clothing or anything with too-thick fabric ¬– that will only make you hotter and add to your discomfort! These classes are tough and the heat is difficult to deal with, so you want to at least wear clothing that’s as comfortable as possible. For hot yoga, it’s most comfortable if you expose as much of your skin as you’re comfortable with. The less clothing you wear, the less heat will build up during your workout. Wearing too much clothing will only dehydrate you quicker, and then you’ll be facing more serious problems than just discomfort. 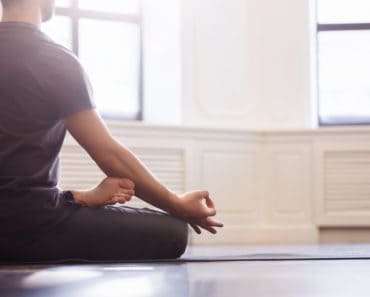 These types of yoga are more meditative than other types, and the overall flowing nature of the classes may inspire you to wear flowing clothing as well. The moves in these yoga classes won’t be strenuous, so feel free to whatever you feel most comfortable in. To truly get in the mood, consider wearing some loose fitting, flowy clothing. When practicing yin yoga, be prepared to hold your poses for a long time. This means that you’ll want to wear clothing that’s very flexible and durable, as it has to be comfy and stand up to deep, extended poses. Aim for form-fitting, very stretchy fabrics when heading to a yin class.